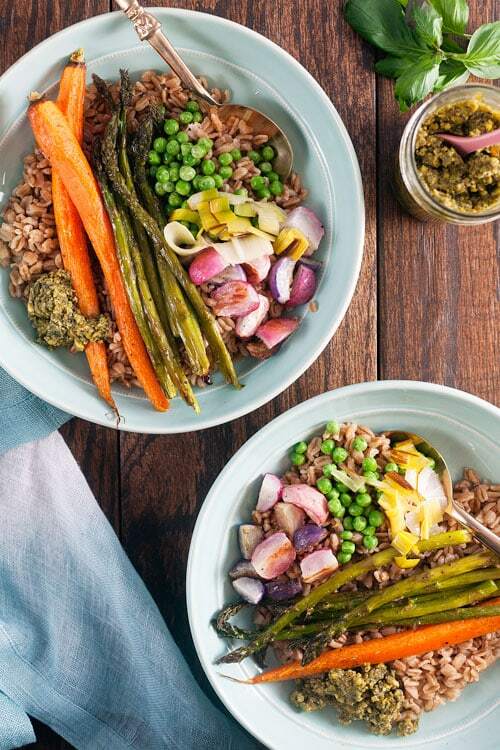 Spring Vegetable Grain Bowls | Healthy. Delicious. 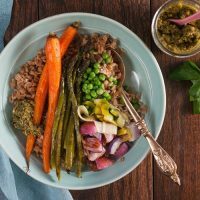 Roasted Spring Vegetable Grain Bowls highlight the best of the best in the produce aisle this time of year. They’re healthy, full of flavor, and ridiculously easy to make! The idea for these roasted Spring vegetable grain bowls with pistachio pesto popped into my head over the weekend and I was so excited about it that I knew I had to make them right away. We both loved them – they’re full of color, texture, and flavor so they’re really fun to eat. They’re also super easy to make. Basically, just throw some vegetables in the oven, boil some grains, and give your pesto a quick whiz in the blender. All in all it these grain bowls take about 20 minutes to make and they were worth every second. I wandered around the grocery store without much of a plan, grabbing whatever caught my eye. I was so excited to find some gorgeous asparagus and leeks! I also picked up a bunch of radishes, since I absolutely love the way they taste when they’re roasted. I also grabbed some farro, since I knew it’s nutty flavor and chewy texture would complement the sweet vegetables really nicely. I considered adding chicken or marinaded tofu, but then forgot to add it to the final dish. In the end, it didn’t need it. 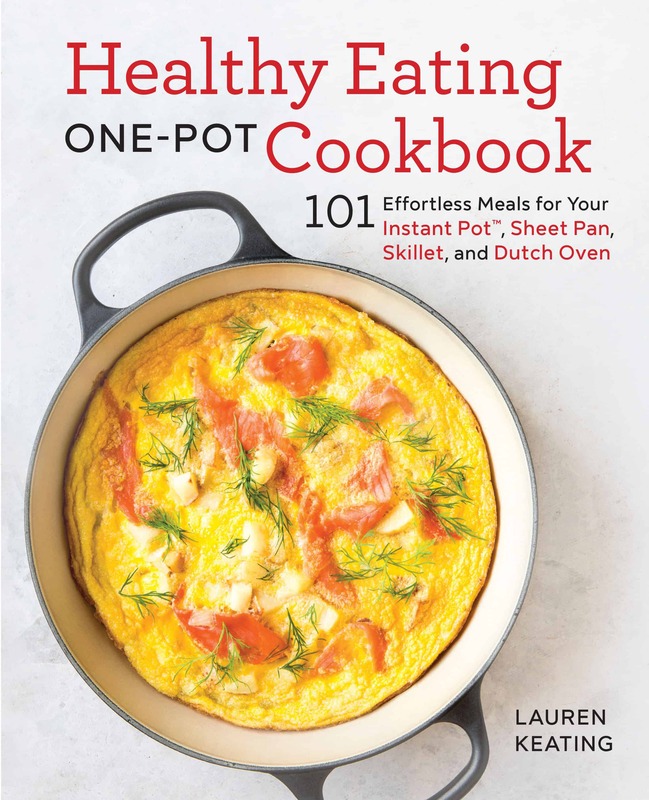 These bowls were completely satisfying and very filling – I couldn’t even finish my portion. The vegetables are the star of these grain bowls, but the pistachio pesto ties everything together and makes it over the top delicious. It’s fresh and bright, with a little bit of sweet crunch from the nuts. 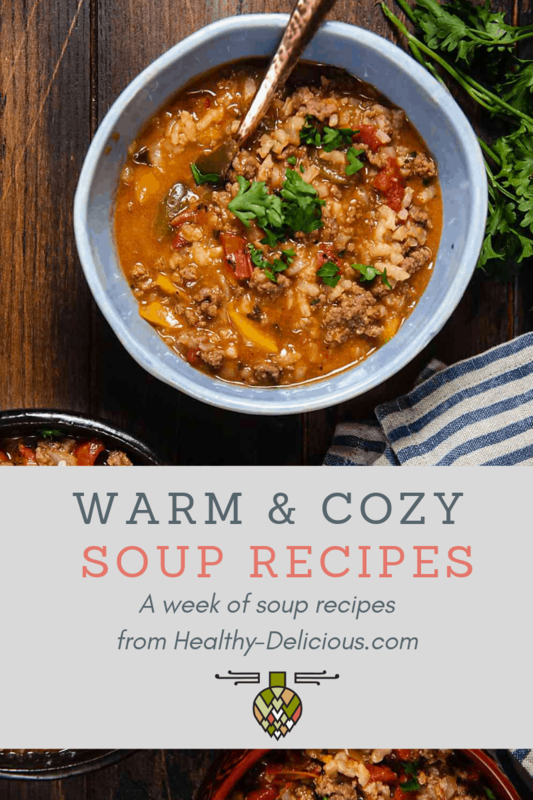 This recipe will make more than you need, but it keeps well in the refrigerator and can even be frozen. It’s delicious as a sandwich spread, stirred into rice, or as a sauce on flatbread pizza. 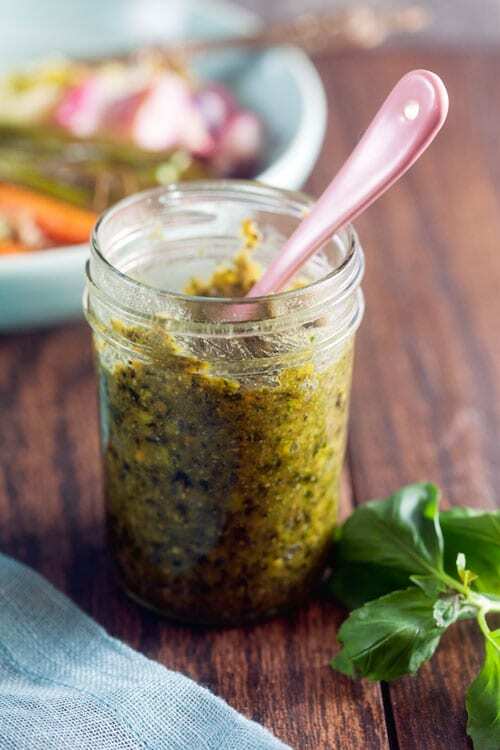 This recipe yields more pesto than you'll need. Store any that's left over in the refrigerator for one week or freeze for up to three months. Heat your oven to 400ºF. Add the farro and water to a saucepan and bring to a boil. Cover and reduce heat to low; simmer 10 minutes. Remove from heat and let sit 5 minutes. 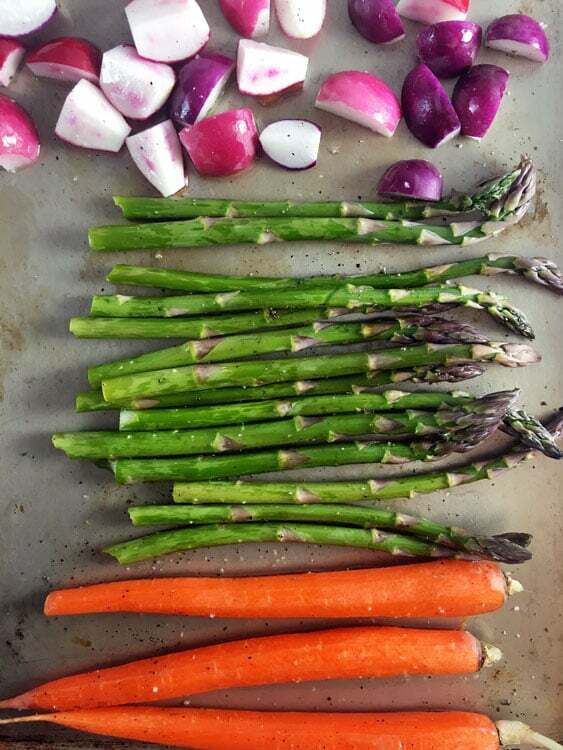 Arrange the carrots, asparagus, radishes, and leek on a baking sheet Drizzle with olive oil and season with salt and pepper. Roast 15-20 minutes, or until the carrots are tender. Slice the leeks crosswise. While the vegetables cook, prepare the pesto. Add the pistachios, olive oil, and basil to a blender. Blend on high until smooth. Add the parmesan and pulse until combined. Season with salt and pepper. Thin the pesto with additional oil if desired. 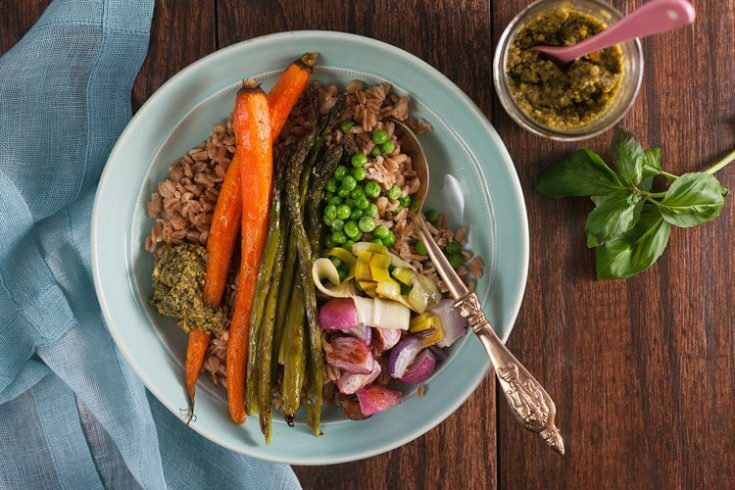 To serve, stir 1 Tablespoon of the pesto into the farro, then divide the farro between four bowls. Top with the vegetables and another dollop of pesto.